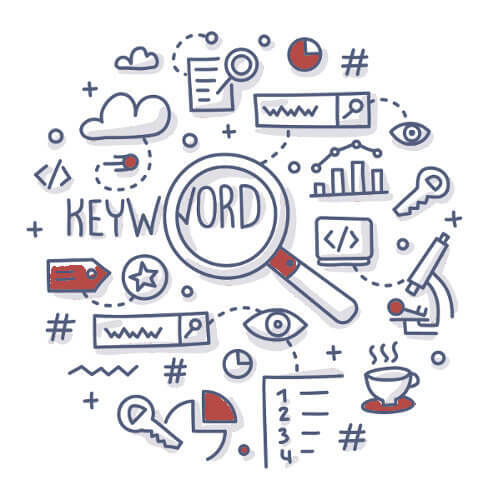 Keyword optimization is known as analyzing and selecting words to target in order to drive traffic from search engines to your website. The keywords that you choose are crucial for your search engine marketing. If you want your website to land on the front page of Google, use keywords that your customers use to find your business! Keyword optimization is one of the hardest tasks in search engine marketing. This is the main way your business is going to be found. Your marketing team needs to get together to evaluate what your target audience is searching for. Whether paid or organic search, if you do not pick the proper words or phrases then you will fall behind the competition. You want to consistently update your keywords, as they are always changing. Keeping a continuous keyword analysis and expanding your database, will allow you to see your site traffic, leads, and sales grow! Determining what keywords to put in place can be difficult. Your business should consider these factors of keywords: keyword popularity, relevance, and intent. Keyword popularity means that a word is very popular and is searched by many people. The more popular the keyword, the more traffic you will receive. It is important to target the most popular keywords as well as the less competitive ones. You want your website to be easily accessible. Stay away from complicated words or phrases that the average person would not search for. Keyword relevance is crucial for your business to stay ahead of the competition. You will want to continuously update your keywords with what is new on your website. You cannot have words that are intended for products and services you presented a year ago. Your business needs to keep updated information so your customers do not fall behind. You should aim to optimize for the high intent keywords rather than keywords of low intent. As you see the value of your keywords increase you will soon see your website traffic increase along with it!